I work for a small community museum, and not one week goes by without someone asking me if the museum is haunted. Valid question, perhaps, knowing that the houses are over 150 years old, and deaths and funerals very likely took place in these homes. Morbid sounding, sure, but that was the customs for the times. In the Victorian times, if a death occurred, a family or visiting undertaker would prepare the body for the funeral, which most often than not, took place in the home. Death was less marginalized and spoken of more openly than it is today. 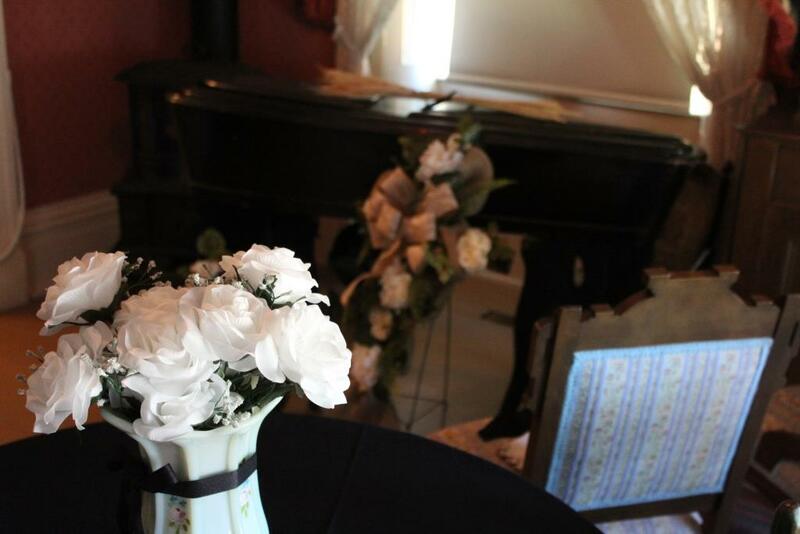 When I give tours through our latest exhibit on mourning customs, I am very aware of my wording and trying to be as sensitive as I can towards the subject matter. The Victorians were slightly more matter-of-fact about everything. Very long story short, yes, deaths occurred many years ago at my museum. Does this mean they are haunted? That depends on who you ask. I am rather skeptical about it. If there has been an ‘encounter,’ there must be a reasonable explanation for it. Bumps and sounds? We’re in a public park, it must be a sound from outside. As well, I have not had an ‘apparition’ appear to me. 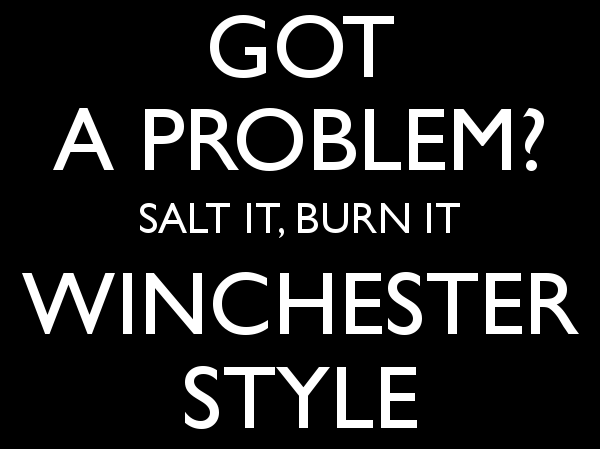 If someone ever does appear and ask me how it’s going, I’ll re-evaluate my position. A few of my other co-workers are more open minded and perhaps more receptive to spirits, but I myself haven’t had any experiences, and this is my answer when people ask. It’s not very exciting, and it’s not the answer more people want to hear. When people ask the question, I suspect they are looking for confirmation that the story they heard from a friend of a friend is true. Being scared is supposed to be fun, isn’t it? Skepticism aside, I participated in a paranormal investigation our museum hosted this weekend. I remained in our administrative building, so I didn’t go around on the hunt with our visitors, but I heard stories once they returned of meters going off, of signs, and of uneasy feelings. Everyone had fun. After the guests left, I closed the buildings with two investigators. I didn’t mind, so we sat in our 175 year old house, lights off, 10:45pm, and we waited. The investigators asked a few questions, and then they asked me to ask a few (that the spirits might be more receptive to a feminine voice). Either the spirits weren’t present that evening, or I’m not receptive to the spirits, for after about 10 minutes, with not much contact, we went around and locked the building up. What a wonderful weekend! I am NOT referring to the weather we experienced in southern Ontario; it was wet, grey, cold, and just plain miserable. But I did make the most of this past weekend and had a wonderful time. Friday was spent in Waterloo, Ontario, which brought back a flood of memories! 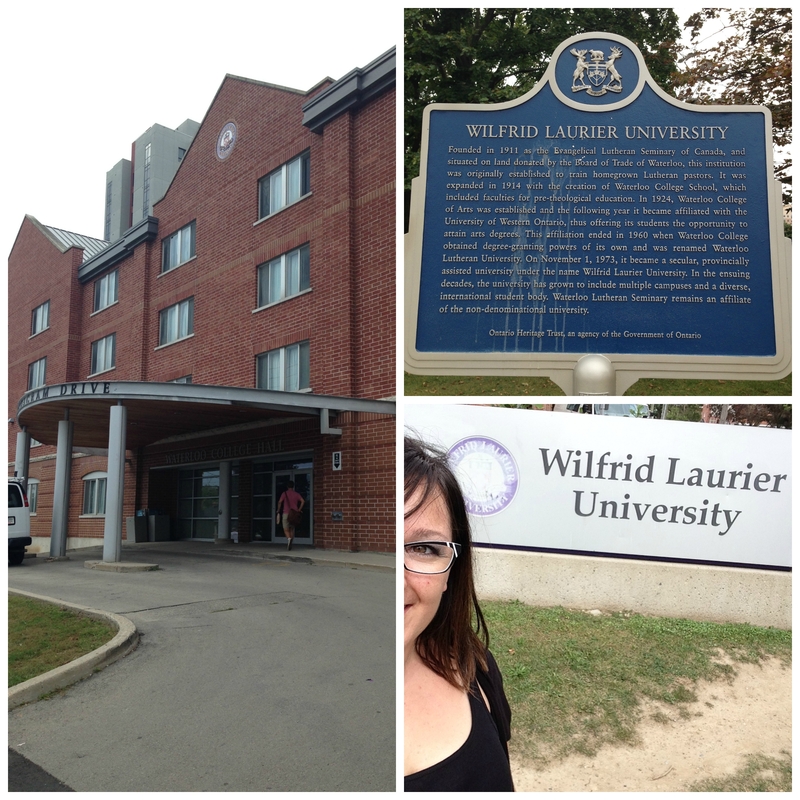 I completed my undergraduate degree at Wilfrid Laurier University (Go Golden Hawks! ), and I haven’t been back to the campus in over eight years. While the small campus has seen quite a bit of change, there was still so much that was the same, and I was brought back to days full of study and nights full of fun with friends. I made lifelong friends while at that school, some of whom I have known for over 13 years now. I wandered the campus with a large smile on my face. What a school where such amazing memories were created. 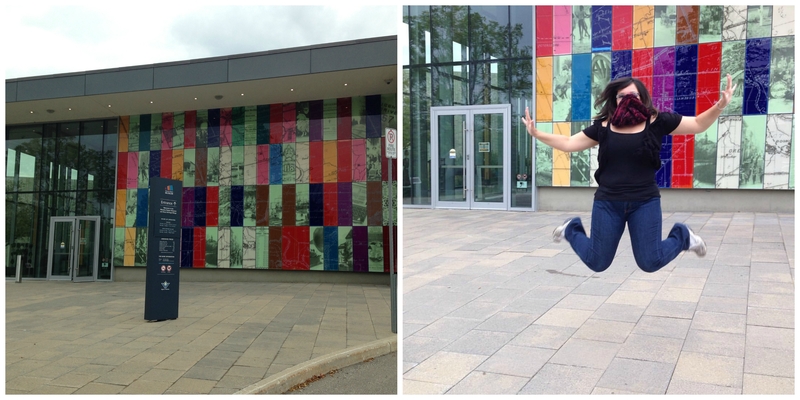 As a huge Museum Geek, I dragged my sister along to the Waterloo Region Museum. This museum tells the story of Waterloo Region and the communities of which it is comprised, and they do so with their new, state-of-the-art interpretation centre which connects to Doon Heritage Village, a museum village interpreting 1914 Waterloo Region, a locale with rural communities and blooming urban centres at the cusp of the largest military conflicts to date, the outbreak of World War I.
Doon truly was a fun, yet fascinating village to visit. Interpreters in the house provided third-person narratives to visitors, and the super-friendly guide in their period General Store informed us that they change their interpretation for the changing months and seasons. This means that, for example, the General Store was boasting school supplies and preserving materials for sale, which was appropriate for the season. Kitchener, Ontario, the largest city in Waterloo Region, was known until 1916 as Berlin, Ontario. Its Germanic roots run deep, and it boasts the largest Oktoberfest outside of Europe. This made Doon Heritage Village and their interpretation period all the more fascinating to me. I held back from asking, but I truly was left wondering if their interpretation of 1914 also included the outbreak of WWI and the anti-German sentiments that the City and its residents faced during the war, sentiments that resulted in the City’s name change to Kitchener. They interpret every day life in Waterloo Region, how their residents lived, their religious life, various occupations, but do they also interpret political sentiments and/or the impact of the global altercation of WWI? I’ll be heading to a conference in early November; if I meet someone from Waterloo Region Museum, I’ll be sure to ask them! 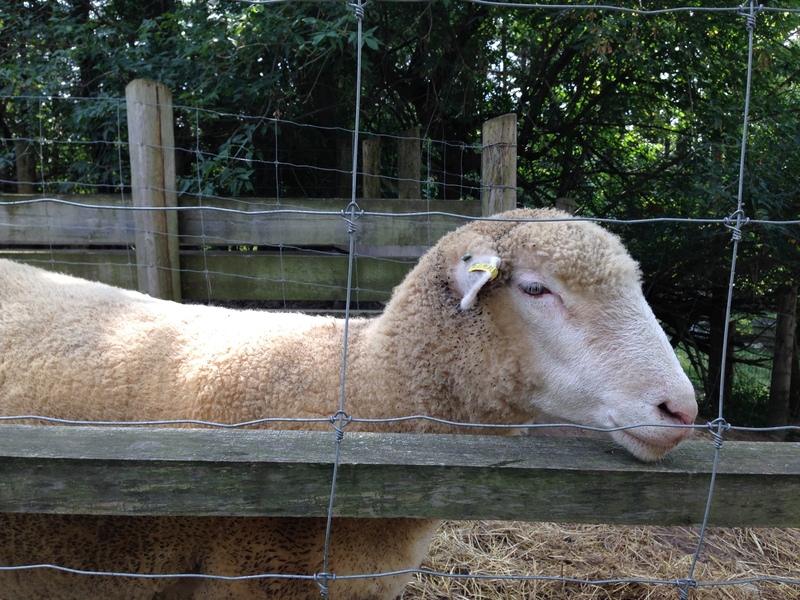 Doon Heritage Village also had adorable sheep! The feature exhibition at Waterloo Regional Museum was called Beer: The Exhibit. 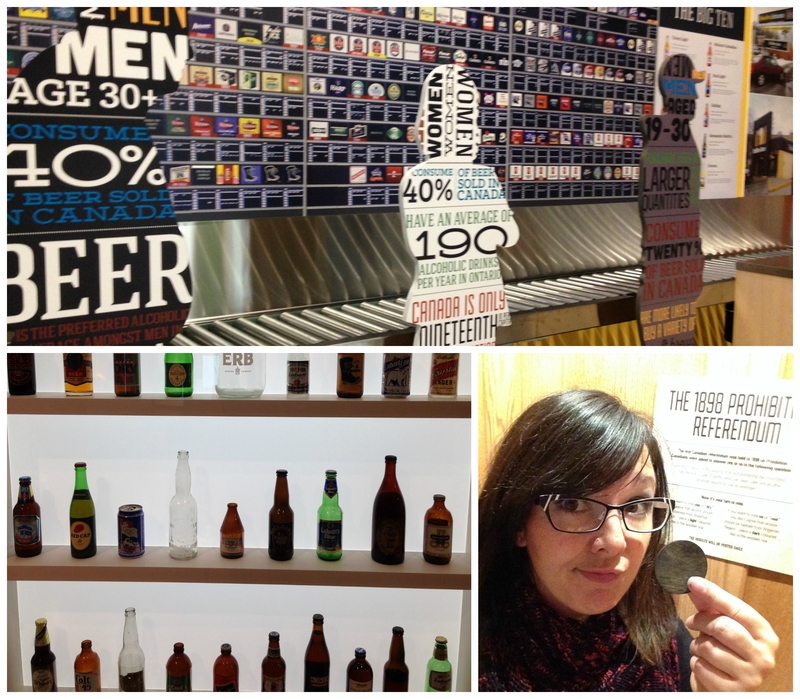 Clearly, my sister and I had to see the history ‘on tap’ at that exhibit! By the time we finished with the Village, we were running short on time, which meant I wasn’t able to spend as much time as I could have at the exhibit, but from our quick, whirlwind self-tour through it, I was highly impressed! You walk in and are faced with the all-to-familiar Beer Store counter, recreated for the exhibit, complete with the rolly-counter that was a LOT of fun to play with as a kid (and, well, still entertaining as an adult)! There was a very aesthetic wall of bottles, showcasing a beautiful range of colours and shapes and a screen playing Molson commercials, including the infamous My Name is Joe commercial, with the iconic rant which succinctly highlights many key aspects of our Canadian Identity. Funny how it took a beer commercial to hit the nail on the head of something that is more often than not very difficult to identify. The exhibit also had a number of ‘Selfie Stations’ where they encouraged visitors to take a picture and use hashtags to share their images, a very fun way to encourage and in turn measure visitor engagement through the exhibit. Beer: The Exhibit, and saying No to prohibition! Finally, I was able to steal away for about half an hour to a lovely little Local Yarn Shop called Shall We Knit. I was met by Kerry who was one of the friendliest LYS owners I have ever met. Knowing how lovely and open most LYS owners are, this is saying something about just how welcome I was made in Shall We Knit. I left with three skeins, one earmarked for an on-going afghan and two for Christmas presents, and I cannot wait to get back to Waterloo and visit her shop again.